Exactly one year ago, I started a story called “Belizean Shores” and by May, I had completed the second or third draft. Sadly, it stalled out in a frustrating beta experience. By the end of August, I had a good draft to submit. 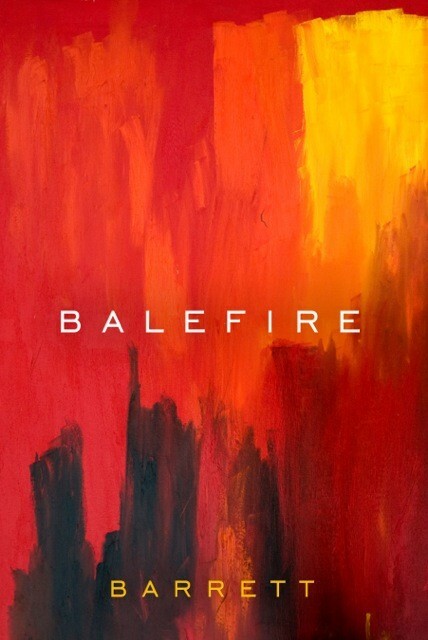 I am pleased and excited to joyfully announce the completion of Balefire. After losing the partially edited version, I tried again and just completed the edit changes 10 minutes ago. (2 days ago) They are back in the capable hands of my editor. I will announce a release date as soon as I know. Please believe me, Zeke and Anne are coming back with a new story—soon. But for the time being, I am totally besotted by Silke Dyson and Kirin Foster. I hope you will be, as well. Silke flinched, and gripped the armrest as Rachel struck the steering wheel for the second time. Perspiration beaded on her forehead, and she sucked in another shallow breath. In front of them, traffic inched forward through the construction logjam at the Milwaukee airport entrance. The tension started building before they left the house. Silke prayed to reach the departure area without another fight. “Crap.” Kirin Foster frantically glanced over her right shoulder, flicked the turn signal, and swerved into the next lane. Horns blared from cars behind her. She tossed the phone on the front seat and gripped the steering wheel with both hands. The last minute phone call from her editor at Travel & Tour changed her assignment. Instead of a lovely piece on the Oregon wine country, she told Kirin to repack for Belize for a week to write a piece about the newest private resort that occupied a small island. June in the Caribbean. What could be more idyllic—or more humid? She eased her car into the long-term parking area, slammed the shift into park, and collapsed back in her seat. Her phone chirped, and she snatched it. “Thanks, that’ll be fine.” Kirin closed her eyes and bit her lip. When her pulse normalized, she double-checked the doors and windows, retrieved her carry-on, and looped the leather messenger bag over her neck and shoulder. The shuttle moved slowly toward her allowing just the briefest moment of regret. “I shouldn’t have yelled at Melissa.” Cell phone in hand, Kirin dictated a note to herself to bring Melissa something nice from Belize. Since the break-up months ago, they’d maintained a relatively comfortable friendship, and Kirin depended on Melissa to help whenever she traveled on assignment. She checked her watch again. Silke Dyson squinted at the air traffic control tower looming larger over the parking structure of the Milwaukee Airport and terminals. Without her peripheral vision, the traffic around the car was nothing more than fuzzy, noisy intrusions into her narrowed lens on the world. Rachel Bates drove cautiously and glanced at Silke. “I can feel your anxiety over here, you know,” Silke said. Silke leaned forward, and felt for her phone on the floorboard as Rachel pulled her new Lexus to the curb at the airline departure entrance. Silke took a deep breath, forced a smile, and then swung her legs around while Rachel came around with her red suitcase in tow and opened the door. “Are you sure you’re going to be okay?” Rachel said and grabbed her elbow. Silke hoisted her backpack and hailed the skycap. Rachel closed the car door, and turned around. “Have a good time, babe.” She gave Silke a quick, cursory hug and hustled back in the car. As the car moved away into the stream of traffic, Silke heaved a sigh of relief. It saddened her to think how contentious their relationship had become. She could barely remember when everything started to go wrong. She watched the blurry brake lights disappear and swallowed hard. Suitcase in tow, she nearly bumped into the skycap. She nodded and within five minutes, an airline employee appeared with a wheelchair and escorted her through security and all the way to the gate. She tipped him well and thanked him as she remembered the character of Blanche Dubois in A Streetcar Named Desire who said, “I’ve always depended on the kindness of strangers.” Since her vision loss, Silke had to depend on others for assistance, which was tedious and irritating especially for someone accustomed to being self-reliant. The gate agent told her the flight would not begin boarding for at least half an hour, so Silke found a comfortable in a chair near the window, and pulled a sandwich from her backpack. On Saturday morning, at Milwaukee’s Mitchell field, the air crackled with excitement, noise, and nervousness from all of the travelers. She could tell by the snippets of overheard conversations that most were heading out on a vacation, but there were some business travelers anxious to get home. Silke enjoyed traveling, but it became harder as her vision deteriorated. With each new hurdle, she tried harder to anticipate difficulties and avoid frustration. Her doctor had diagnosed the tunnel vision eight months ago after a particularly nasty fight with Rachel, one that turned physical. He explained how the increased pressure and impaired circulation had damaged blood vessels behind her eyes. He initially sounded hopeful when he told her that her vision could return to normal when the swelling went down. But there were no promises. With luck, a week on the warm beach would do wonders. Ah yes, the beach. Happily, her dear friends Diane and Mark had purchased a rundown property nine years earlier on Ambergris Caye, just off the Belize coast and adjacent to the second-longest barrier reef in the world. After years of tireless work, they turned into a five star resort. Almost every year since, Silke had visited to hang out with her childhood best friend and support their efforts, but also to recharge her creative batteries. Her art fed her soul, but teaching and the business end of running an art studio drained her. Rachel wasn’t much help since she traveled two weeks a month for business. Tension drained from her body as she refocused on the thought of offshore breezes that awaited her in a few hours. Kirin’s temper escalated to a dangerous pitch. She opened her laptop for the TSA examiner for the second time just as her boarding call sounded over the loud speakers. She cursed the security people under her breath as she slipped on her shoes and hurried to the departure gate. It always amazed her how the tedious procedures could rile her, especially since she flew as a regular part of her job. “Your flight attendant will be more than happy to give you a cup of coffee,” the well-intentioned gate agent said as she handed back the boarding pass. Kirin moved aboard then was forced to stand in the aisle of the overcrowded plane while a woman in first class rearranged all her belongings including a small crate containing some kind of animal. Once in coach, she tripped over some woman’s white cane and cracked her leg against an armrest. By the time she found her seat in the middle of the aircraft, she’d muttered every expletive in her literary repertoire and just wanted to scream. Her desire for that cup of coffee quickly became one for a Bloody Mary. Thanks for stopping by. I hope this new story will be a perfect fall reading selection to warm your hearts. I’ll be offering chances to win a free copy in the future. Stay tuned. Can’t wait for the rest! Great, cool cover, too. Very happy for you. From the slowest draw in the east to the fastest write in the west, I swear I don’t know how you do it. Congrats and I’m sharing for sure. Thanks, McQ, remember, it’s my full time job and passion. This is fantastic, Barrett! Congrats! Thanks, Tammy! It’s been a long labor and delivery!